Designed to carry both your camera kit and your personal belongings, this smart and discreet Canon backpack is ideal for your photo travels. 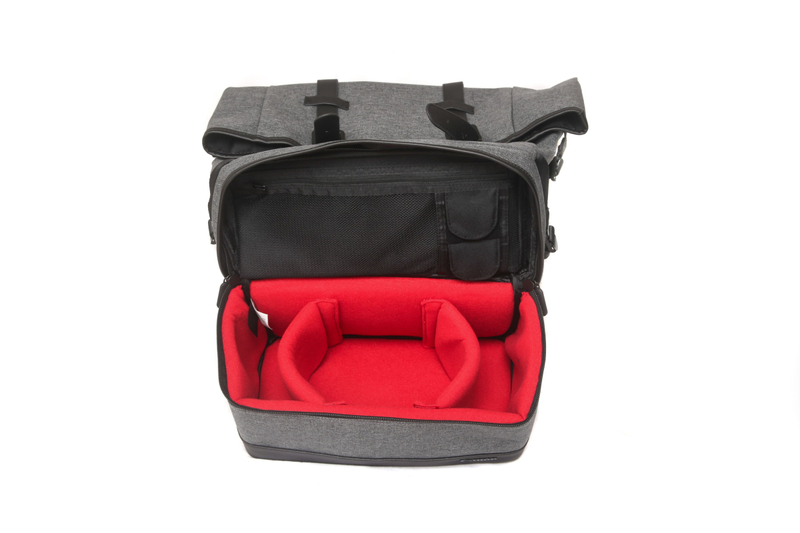 It's carry-on compatible, hardwearing and waterproof, with a Canon-red padded interior for your EOS camera and two lenses. Designed to carry both your Canon gear and personal belongings, this new backpack from Canon is ideal for your travels or weekend away. With room for a tablet, a generous padded compartment at the base for your camera gear and a spacious top compartment for your jacket, lunch and more. There are two side pockets for smaller items, plus two small media card pockets inside the camera compartment. The camera section has a soft Canon red interior and includes fully adjustable dividers. You’ll fit your EOS camera, a couple of lenses and accessories in there comfortably. Access to this compartment via a zip fastening. 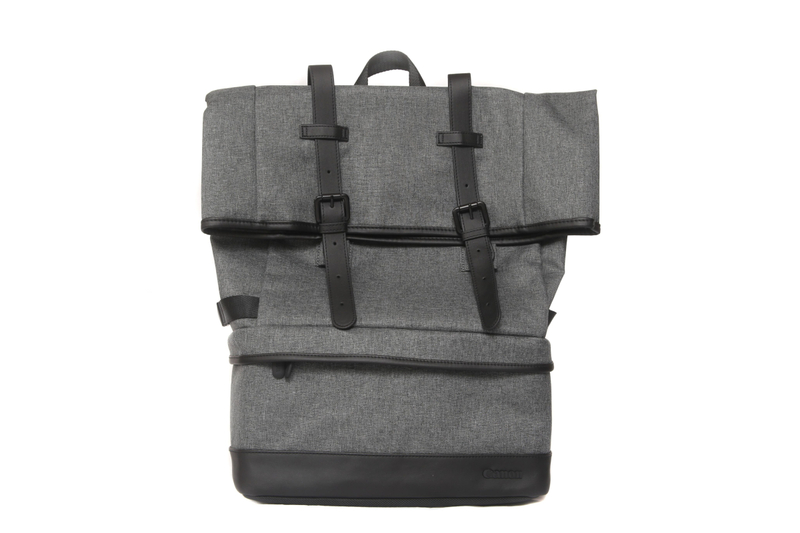 The top section features a foldable top opening, secured with two magnetic buckles. It’s comfortable to carry even with a heavy load thanks to the two padded and adjustable shoulder straps, plus the back of the bag is padded too. There's a short handle at the top so you can grab-and-go if you need to move in a hurry. 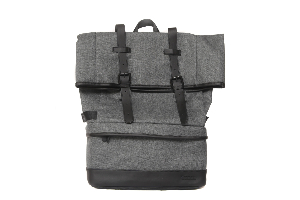 There’s a dark grey denim-like finish to this backpack which is hardwearing and water-repellent. A Canon logo to the front has a subtle black-on-black embossed finish for a discreet overall look. External dimensions (W x D x H) 30cm x 18cm x 42cm.